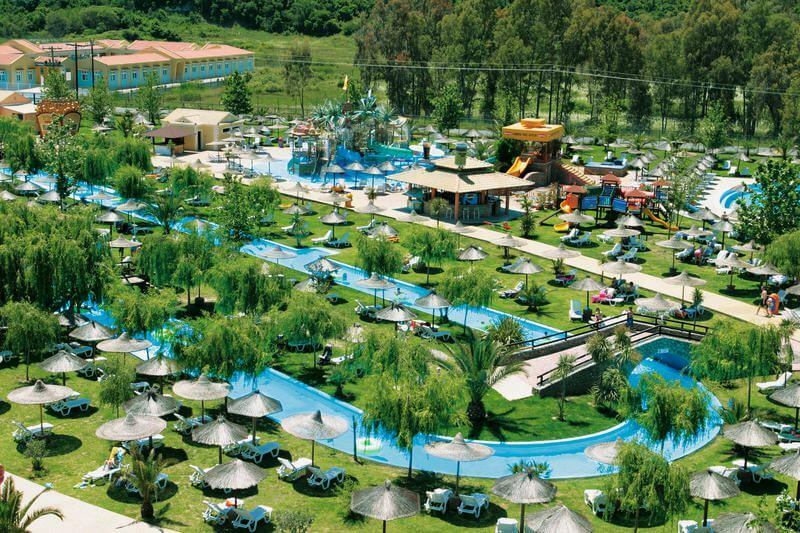 In close distance from our hotel you can find an amazing water park were you can spend your day enjoying water rides and other kinds of water activities. 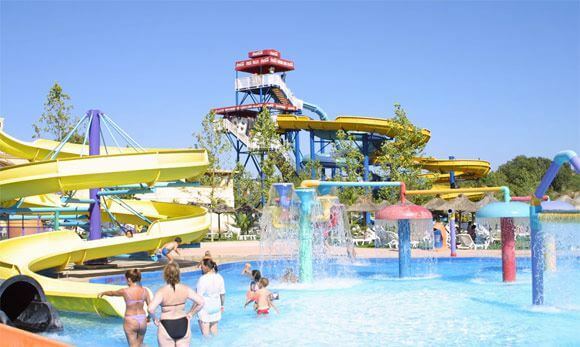 Aqualand, one of the most amazing and adventurous places to be!!! A great fun and joy for children of all ages, families, friends and all, who are young in spirit. Located in the heart of Corfu Island, situated on the main road, makes the place easily accessible from all the parts of the Island. Surrounded by green forests a 75000 square meters water oasis makes your stay pleasant even in the hottest days of the summer. 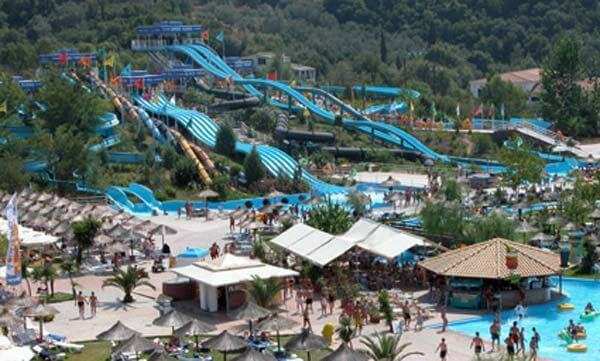 The natural environment of the Ionian Sea and the unique beauty of Corfu Island were transferred to Aqualand making it one of the best waterparks. 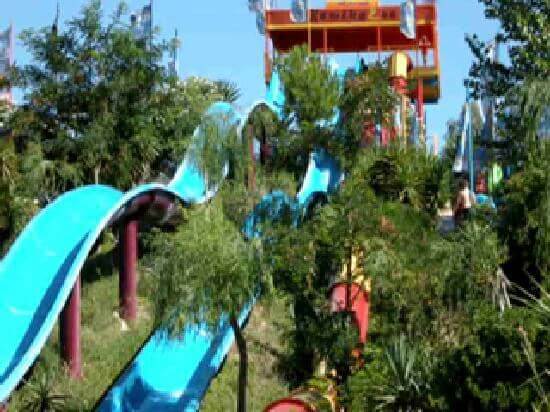 The construction of the Aqualand started in 1995 and lasted for two years in order to reach the pick of quality and ensure the highest safety for our visitors. Every year a lot of new games are developed and our visitors can find new exciting activities to enjoy. The manufacture of the main rides and water attractions are made by famous construction companies worldwide, which have completed their project for Universal Studios and Disney parks as well. 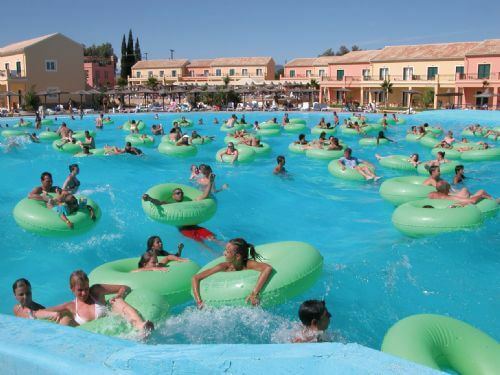 As a result – one of the most amazing and adventurous waterpark- Aqualand has become famous all over the world. 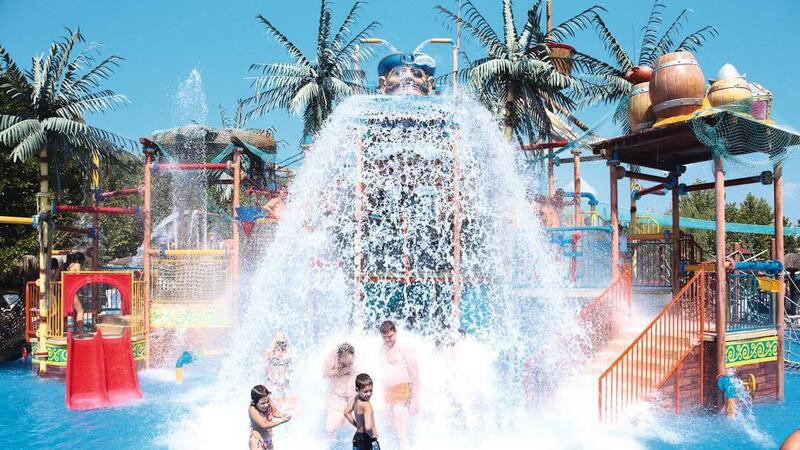 The Aqualand equipped with all kinds of water attractions to make your day exciting until the last moment and has all kinds of facilities to make your stay pleasant and comfortable for children and adults of different ages. The specialized lifeguards take care of our visitors providing qualified safety and security for children, babies and adults and services for people with special needs as well during the day. The water in the pools is everyday recharged and continuously filtered by our water cleaning system. Free sun beds and umbrellas, changing rooms and showers, high quality food, shops and free parking space are available in our waterpark. 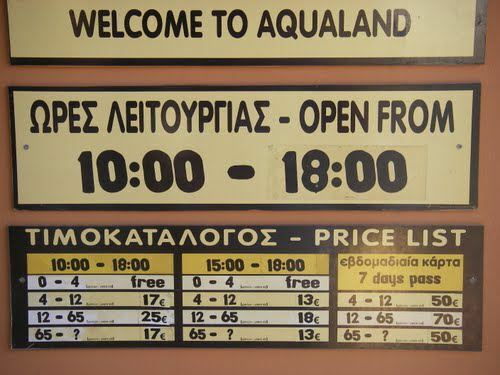 The children under 4 have free entrance to Aqualand. Special offers for families, groups of over 8 people and students. Please don’t forget to check the details of pricing, special offers and birthday parties offers at our site. You will find further details of attractions and facilities at our site to get the full picture and to have an excitingly enjoyable stay with us. 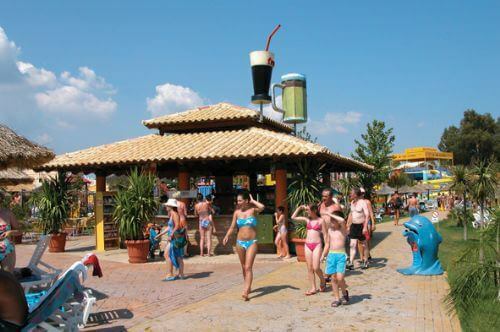 Aqualand – a unique and unforgettable experience of joy, happiness and endless fun! Don’t miss a chance to live unique moments and share your joy with us!